Now, this really is a decent app. 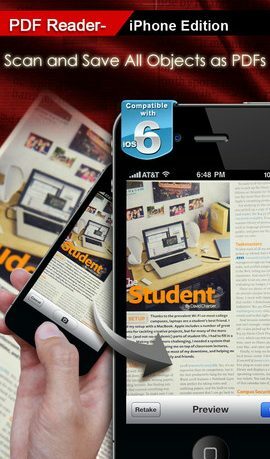 PDF Reader, for iPhone, is a PDF viewer for your iOS device, like many that are available in the App Store, but the truth is that it does so much more, and does it really well. You can print wirelessly via Air Print using the viewer, or even take a look at the image on the big screen using Air Play. The reader can create sticky notes, sign forms and has FTP client support. 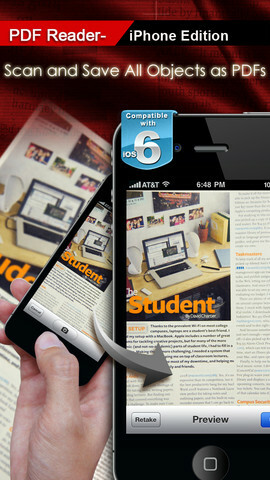 Sounds like a pretty decent PDF reader? Well it just gets better, with more and more features that actually help to bring it more into line with what desktop PDF applications can do. 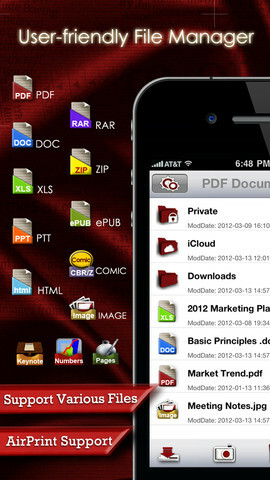 My favourite feature is the ability to complete PDF documents within the app. You can add text, highlight text and even sign forms, all from withing the app, so no more printing a PDF file, filing it in by hand, rescanning it then saving as a new PDF, as this app allows you to do it all in just a couple of taps and slides. The scanning functions work really well, and open the app up to a lot of possibilities. 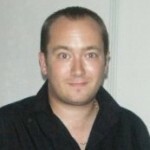 •Manage multiple cloud storage accounts from a single interface. It is even worth it just to make printing off those holiday vouchers a damn sight easier. You can get your files from a variety of sources. The app has iCloud support built in, and you can also grab files from Emails, and there is an impressive array of other cloud storage solutions that are supported. GoogleDocs, Dropbox, SugarSync, iDisk, and Box.net can all be logged into from within then app, then have the contents of your account there pulled down and messed around with. Files can also be shared over WiFi, backed up via USB, I could go on, but suffice to say that just about everything you could possibly want a PDF reader to do, this app does. Overall, this is a great tool, and should be considered as essential by anyone who uses their iPhone for anything related to productivity. 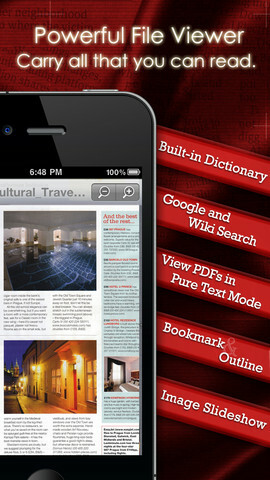 With a lovely interface and a great feature set, PDF Reader is very good.